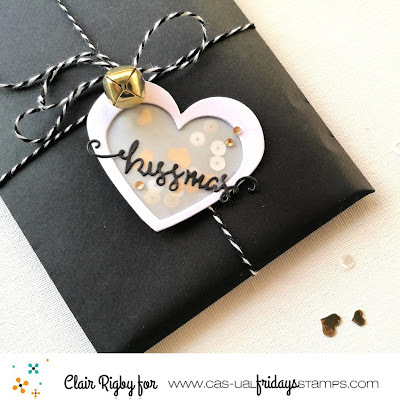 Today, CAS-ual Fridays Stamps are sponsoring Tracey McNeely's wonderful event, 25 Days of Tags! 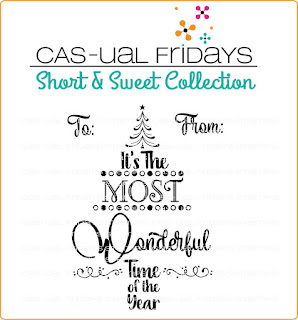 The Ink Squad have been busy creating their own holiday themed makes and we're celebrating with some fantastic offers - as well as a new Short & Sweet Mini Set - Most Wonderful. 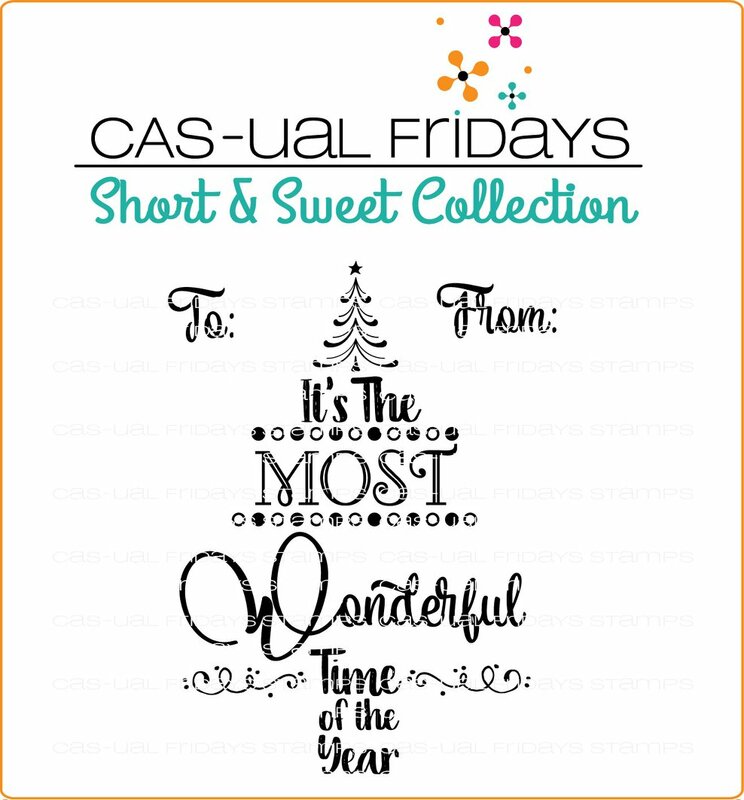 It's such a cute, little set and, between November 20th - 26th it's free if you spend $50 (including shipping!) at the Casual Fridays Store. As if that's not incentive enough to head on over, all of the Hanukkah and Christmas stamps and dies are on sale! So, here's my make for the celebration. 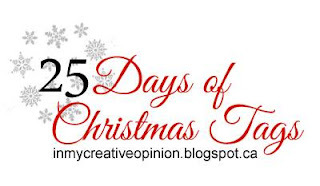 I wanted to keep it fairly simple, and used some non-holiday sets to make a little shaker. I've used the Heartboard Fri-die, Mistletoe Fri-die and Fun-fetti Fri-dies! Hello! 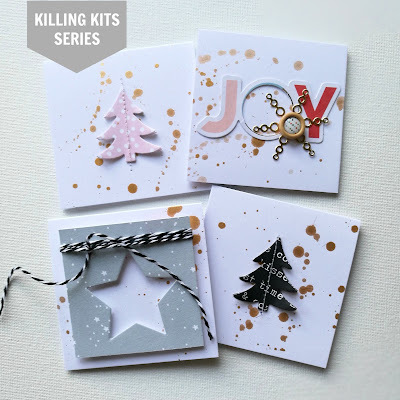 It's time for a new video for the Killing Kits Series and today, I've used the leftovers from my wonderful November 2018 Wild Hare Kit so that I can make room for some new holiday themed stash! Honestly, the best bit of finally finishing off all of these kit leftovers, is that I feel less worried about the occasional stash addition! The kit was full of the most incredible selection from the December Days Collection by Pinkfresh Studios, Sweater Weather by American Crafts and a whole host of extra embellishments. Now, I felt that I used most of it in my December Daily 2017 album, but I still had a lot leftover and I've utilised most of those leftovers in the video to make a set of little cards! Please feel free to leave comments here, on YouTube, or find me over in the Counterfeit Kit Facebook Community. I would love to hear from you! It's kit reveal day at The Wild Hare Kits and this month I've received a fabulous Deluxe Kit, full of full of stash from Emerson Lane, Along The Way and Auburn Lane and it could not feel more 'me' if I'd curated it myself! You can see it in all of its glory over on my YouTube Channel! If you would like to request your own custom kit, just complete the Style Profile. There's no monthly commitment, so it won't hurt to try!